These mods are absolutely stunning!!! The rounded corners and edges look like they would fit comfortably in one’s hand! I love the look, but I am more curious to try the new Gene Fit Chip! The new Gene Fit intelligent matching mode that is exclusive to these two mods sounds interesting… This new mode will enable the vaper to enter three different modes–Battery mode, Flavor mode, and Cloud mode by only one button click! And they also have a “fireproofing bridge” that supposedly blocks dust, liquid, and fire, which will be awesome to help protect the mod and the user! I can’t wait to try these new Drags!!! Of course… I am a chain vaper, so 1 week to 10 days will be plenty of time to put this mod through its paces! The resin choices on these mods are sick!!! I love the Aurora for the Drag 2 and the Purple for the Drag Mini , but these would not be my only choices!!! I think most of them are a home run!!! Yep. I am of legal age. And unsure of my thoughts yet. 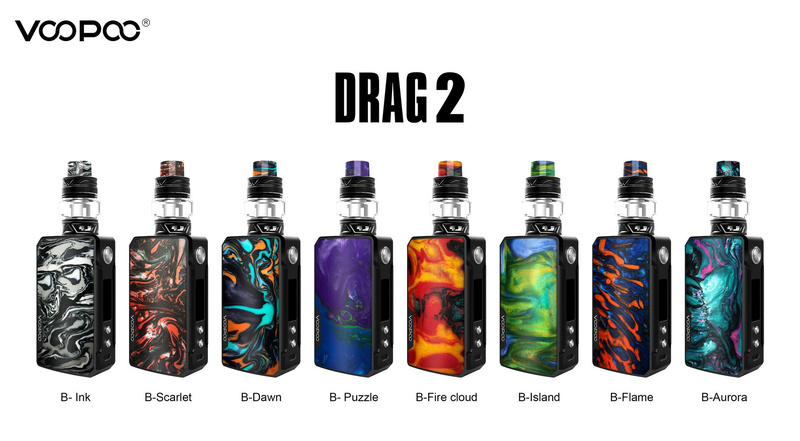 I do like my original drag, so I would be hopeful to like version 2. I can do a review in the time frame. Looks like a sweet little mod. Wifey thinks it’s " pretty" So I guess that means it will work good lol. My calendar is pretty clear I can get a review out for them. I work best with a deadline anyway. I look forward to giving the mini a try. IDK I have never used this device. I hope you do a review of this device Wally, I don’t think Im worthy to do a review of it because I have never owned any VooPoo device. As far as marketing goes they plan to have “Total 250 testers will be chosen”, but all that means is we will have a good idea about the device if we purchase one. 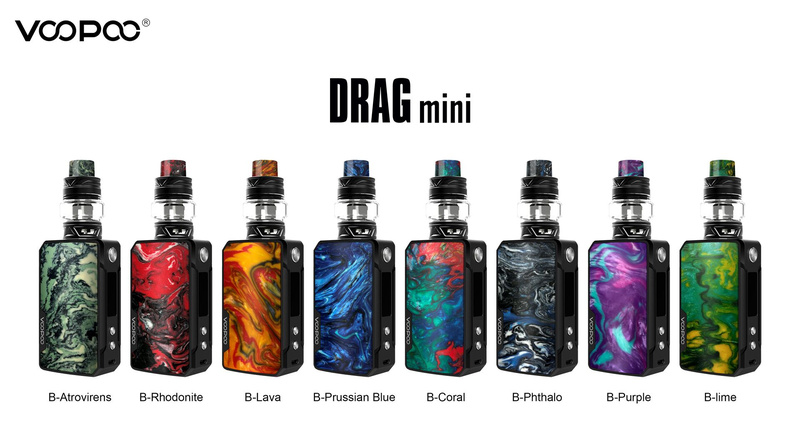 I have always liked the looks of VooPoo devices, I wish I had a VooPoo regulated Squonk Box MOD. Oh my friend. I agree that having reviews from folks who will review and not advertise is always great. I have issues with VooPoo’s ethics. It’s a personal decision, but I want nothing to do with them. Even the tone of this post is demeaning, IMHO. You know as well as I, that if we agree to do a review and do it well, we are doing them a favor, not the other way around. I’m sorry to let you down, but VooPoo is out of the question. I don’t bemoan anyone else who is willing to do a review, that’s all good and well. 3 i can review it a week after i receive the product. I’d like to work a deal with Nike for free shoes, and Levi’s for free jeans. That’s impressive. I’ve never tried to rewick a factory coil head. I’m sure I would have a mess. Don’t worry much about the coil popo. They’re not so bright. Oh I bet they did. That’s why they want $15 for a 5 pack! You nailed it. A crock of Poo. Great name for their next mod. Crock-a-Poo.